If you have a large garden - or even a small one - that has large trees, you will need to get them pruned regularly so that they do not get out of hand. 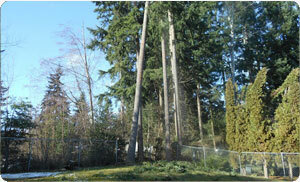 However, instead of attempting DIY pruning large trees by yourself, you should call in the experts to trim tall trees. Hunter's Tree Service is a reputed company that offers high quality tree climbing services for Frederickson, WA residents. As an established and experienced company, we offer a few tree climbing techniques that we customize to your specific needs. You can rely on our skilled and trained workers as they have the necessary tree climbing training and tree climbing gear. Using the most suitable method of tree climbing, depending on the health of the tree, we will ascend the tree and prune it easily. Pruning large trees is easier said than done. There is always the danger of a worker falling down if he or she is not tied properly. Sometimes, there is risk of big branches falling on nearby structures and damaging them. For this reason, it is essential that you choose professionals for pruning large trees. We know how to trim back a tree to make it look beautiful, as well as make it safe for the nearby structures. 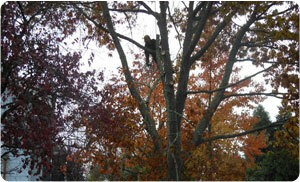 When we are pruning large limbs, we ensure that they do not fall on nearby structures or pedestrians. If you want to know about the costs of pruning large trees, you can talk to our consultants. Why Choose Us for Trimming Tall Trees in Frederickson? There might be several companies known for trimming tall trees in Frederickson. However, to ensure that you choose the best one, you need to do your research. You can either take the help of the internet or ask around the neighborhood. Our workers know about the proper way to cut tree branches. They also know how to trim tall tree branches safely. 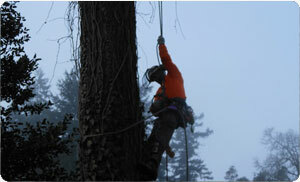 If you have any requirements of tree climbing or are researching methods for trimming tall trees in Frederickson, call Hunter's Tree Service at (253) 777-1938.